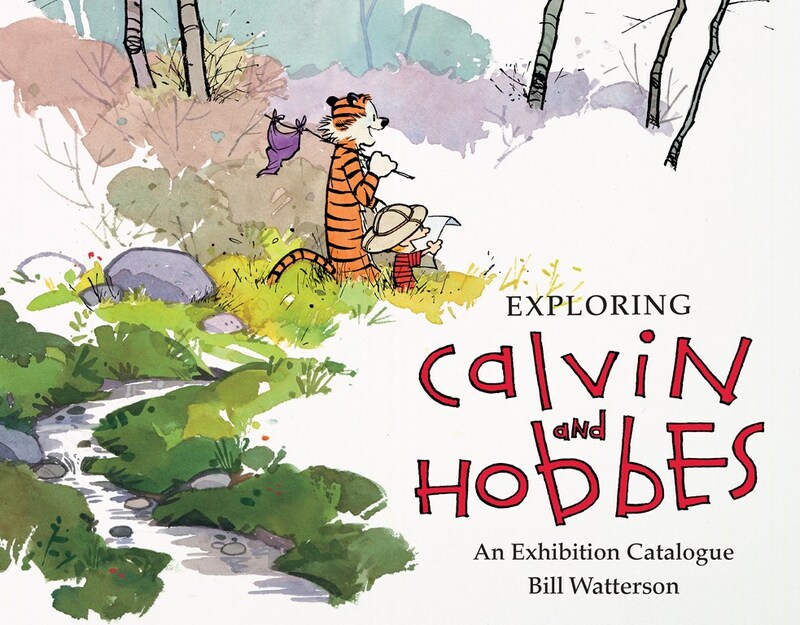 Exploring Calvin and Hobbes is the catalogue for an exhibition by the same name at the Billy Ireland Cartoon Library & Museum at Ohio State University that ran in 2014. The exhibit is Bill Watterson’s personal exploration of how the wonder of Calvin and Hobbes came to be. It includes original art of Calvin and Hobbes, along with Watterson’s original commentary. The show also includes art from cartoons and cartoonists that Watterson has identified as influential in the development of his art, including Peanuts, Pogo, Krazy Kat, Doonesbury, Pat Oliphant, Jim Borgman, Flash Gordon, Bloom County, and Steadman. The book also includes an extensive, original interview with Watterson by Jenny Robb, the exhibition’s curator.